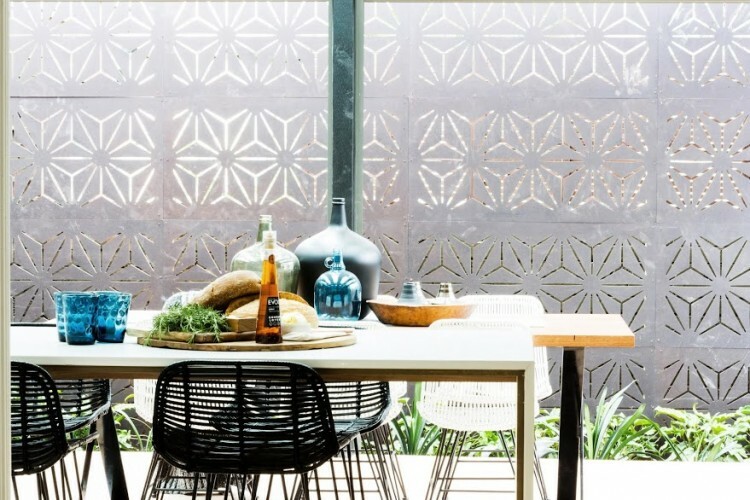 In Australia we’re lucky to have a climate that lets us enjoy outdoor living almost all year round… but are you maximising your outdoor space? 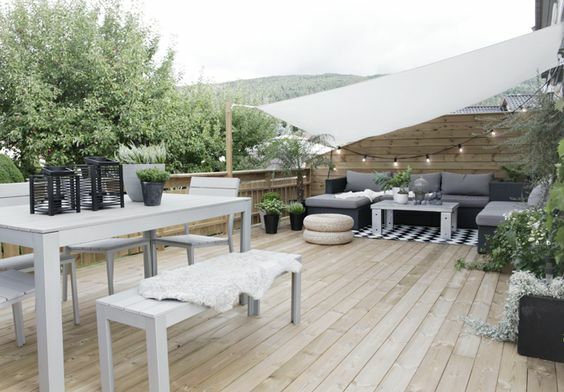 We think there’s nothing better than coming home, kicking off your shoes and relaxing outside so today we’re showing you dreamy outdoor spaces to inspire you to create one you’ve always dreamed of! If your deck is looking a little bare or neglected, why not transform it into a dreamy deck like the one pictured above? 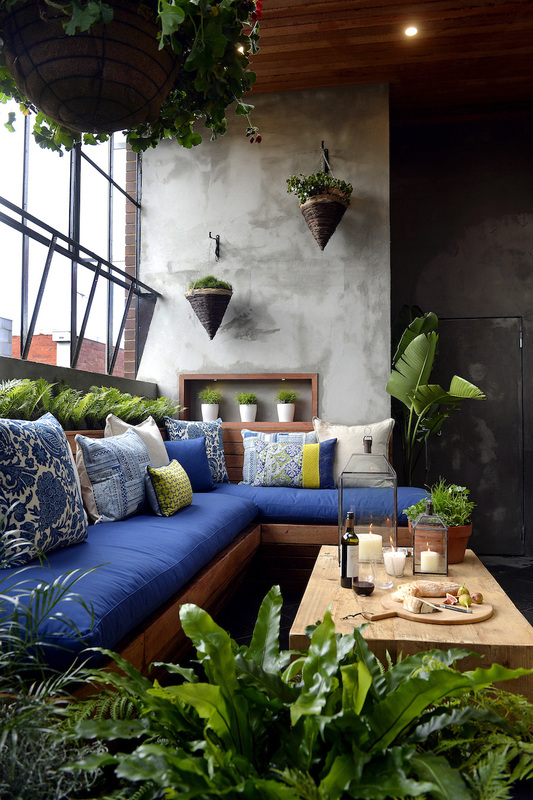 This outdoor space is all about casual relaxation, creating a mini oasis for your enjoyment. 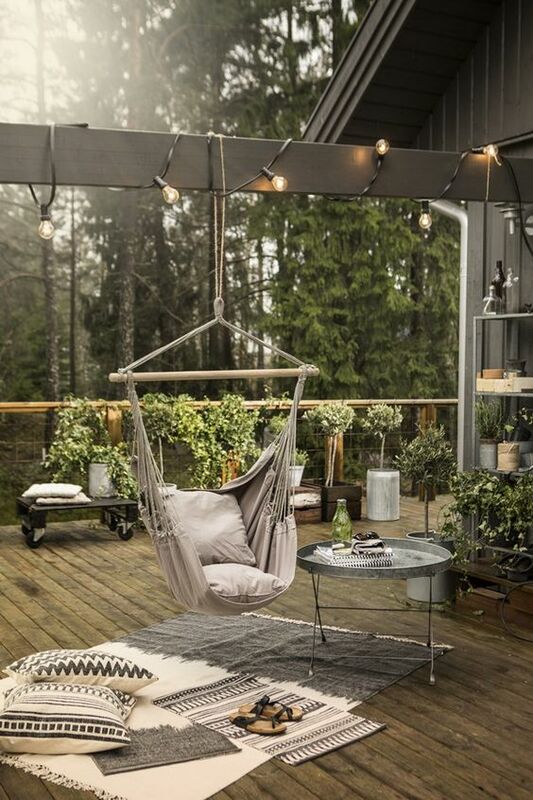 Simply string up festoon lighting, create a relaxed seating area (think hammock or floor cushions) and fill the space with greenery. Love! This lush sunroom is one of our all-time favourites and the enclosed nature of the space means you can enjoy it all year round. The hero features here are the lush planting and refreshing blue colour palette. Mix up foliage and use the wall area as well as the floor space to inject as much greenery as possible. You can call on companies like Additions Building or Altec in Brisbane to enclose your outdoor space if this is a look you want to recreate. A great outdoor entertaining space is one that has the comforts of indoors, outdoors. If you love to entertain, an outdoor dining space like this one is ideal! 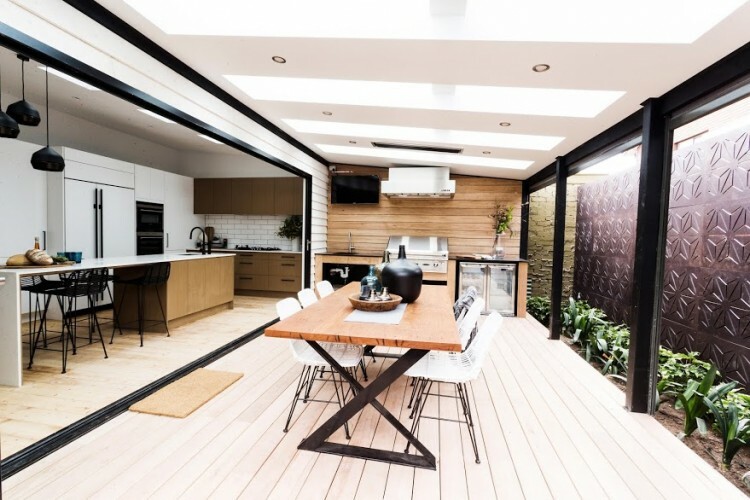 The outdoor kitchen with barbeque, fridge and sink is a stroke of genius! And adding comforts like outdoor heating and roller blinds are worth the investment. Talk about an outdoor dining area! We love the wall of greenery and sunroofs which add sophistication to the space. That huge pizza oven isn’t just practical for cooking, it’s also a stunning sculptural statement! If you’re lucky enough to have a large outdoor space, make the most of it by zoning areas for different purposes. This deck is a great example of how it’s done! The large outdoor rug and sunshade define the lounge area against the back of the deck (and the festoon lighting reinforces the party atmosphere of this space), while the front area of the deck is dedicated to formal seating. If we’ve inspired you to create the outdoor space you’ve always wanted, you may need to start with some structural work. If building isn’t your forte, luckily there are reputable companies out there that you can rely on. 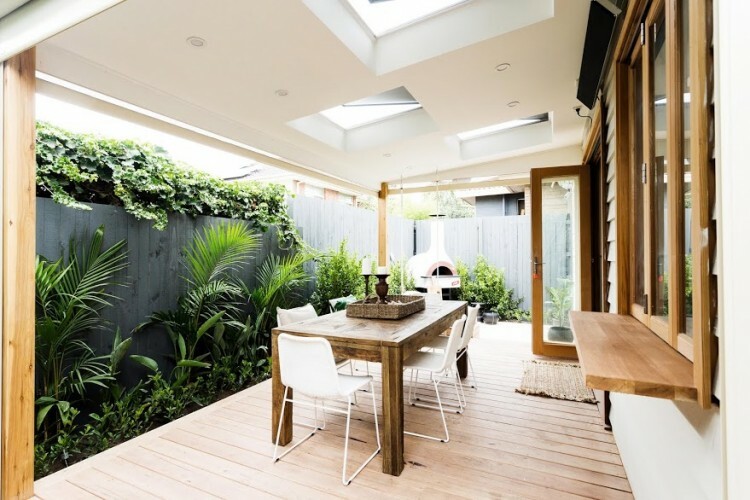 For example, in Brisbane Altec specialise in building patios and enclosures, and Additions Building are experts in building decks and sunrooms. Can you see one of these ideas working for your balcony, patio or garden? Tell us in the comments! Previous articleMexsii launch personalised bed heads and new artwork bed head collection! Next articleRebuild or Renovate? Which Option Should You Take? Isn’t it stunning, Alison?! We recall having to pick our jaws up off the ground when they were revealed! Dee certainly has an eye for design!